The tire killer is made of carbon steel which is A3 grade with stainless steel or common steel blade. It integrates the mechanical and electrical control box together, easy to operate, safe and reliable. It is a good choice to intercept forbidden vehicles and stop terrorist vehicles. It offers a high level of protection against unauthorized entry or exit of hostile vehicles. If a vehicle forced to break through, its tires will be pierced. There are automatic ones and manual ones. The automatic one is controlled by remote control and buttons. It is widely used together with the parking barrier and traffic light, and also the parking system. One- way and double way are available. The manual one can only be one way to stop. The other side will be passed through freely. Its main function is for anti-reverse. There are two types of design. One is buried free type and the other is flushed mounted type. The buried free type will be fixed on the ground like a speed hump. The flushed mounted type needs to dig a pit to fix the machine under the ground. For the flushed mounted type, there are electrical motorized one and hydraulic one. The hydraulic tire killer is operated by a small high-speed hydraulic drive unit, which is integrated within the underground casing. The PLC controller will give open and close signal the hydraulic drive unit. The operation time for up & down movement of the tyre killer varies from 2-6 seconds. 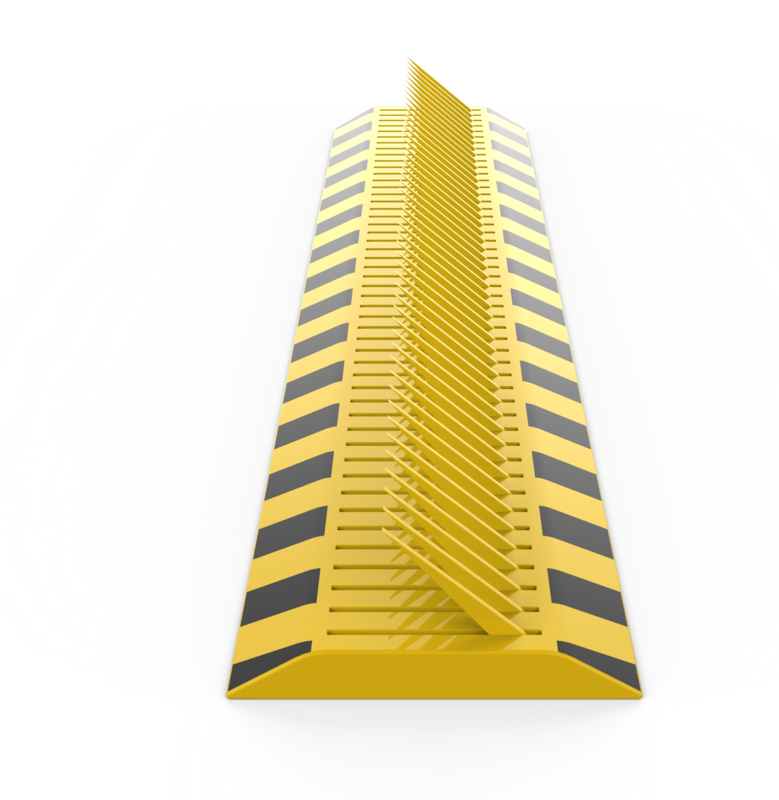 The spike barriers are used in military, government offices, airport and plants to prohibit illegal entry. Tire killers have sharp blades that can pose a threat to any vehicles with wrong intentions.